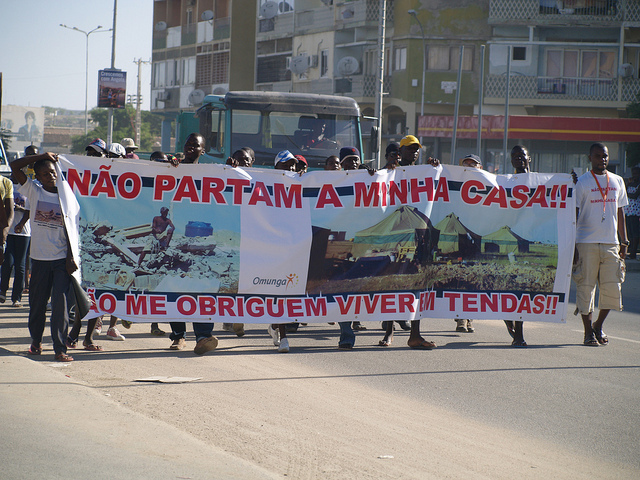 A number of ESCR-Net members, particularly those involved with the Social Movement Working Group (SMWG), are confronting situations in which the communities they work with face threats of being forcibly displaced as a consequence of large infrastructure and other economic development projects. An effective approach to this challenge requires the development of tools and resources, cross-border collaborations and coordinated advocacy efforts aimed at strengthening their capacity to respond and strategically advocate for human rights-centered alternatives. Development-induced displacement is a global human rights crisis, uprooting more people in the world today than conflict or environmental disasters. The World Commission on Dams estimated that by 2000 between 40 and 80 million people had already been forcibly displaced as a result of large dam projects alone. If global trends continue, the frequency and severity of development-induced displacement is set to increase as industrialized and rapidly developing economies intensify the search for new sources of energy. Every year more than 15 million people are forcibly displaced from their lands and communities as a result large infrastructure projects, dams, mining and hydrocarbon extraction, urban renewal schemes, the expansion of biofuels and export-oriented agriculture projects, among others. While these projects are all different in practice, they often result in similar impacts from the perspective of affected communities, including land seizures, the forcible displacement of communities from their lands and loss of the natural resources upon which local livelihoods are based. These projects often lead to heightened food insecurity and risks of disease, forced evictions, joblessness, the interruption of education, the loss of livelihoods resources and social conflict, all of which seriously impinge upon the enjoyment of human rights. The burdens and impacts of these projects often fall hardest on the poorest and most disadvantaged groups within society (particularly women, indigenous populations and ethnic minorities) who are in turn least likely to enjoy the benefits accrued by these projects. In response to this challenge, ESCR-Net is coordinating a project that aims to provide effective and sustained support to communities facing threats or actual displacement , through efforts to forge new partnerships, build capacity, support advocacy and mobilization by social movements and contribute to global efforts to strengthen human rights protections for people affected by projects undertaken in the name of development. Given the unique resources and partnerships within ESCR-Net, this project builds on existing efforts of ESCR-Net members by helping to share knowledge and experiences, build capacities, identify opportunities for advocacy and facilitate strategic collaboration in order to successfully promote the human rights of people facing forced displacement, and the loss of natural resources and other means with which to sustain their livelihoods. With this new project, ESCR-Net and its Social Movement Working Group seeks to foster a more robust, more connected and more efficient movement of grassroots groups, affected communities, legal and professional NGOs, academics and experts working to challenge development-induced forced displacement using the human rights framework. Map the field of development-induced displacement (DID) to help identify relevant actors, issues and spaces for strategic advocacy on forced displacement. Coordinate a knowledge-sharing and capacity-building workshop with the active participation of social movements, grassroots groups and other key activists in the field. Provide ongoing, direct support to a few current situations of forced displacement, by facilitating linkages between affected communities and diverse experts, to develop innovative, cross-disciplinary alliances that will expand and deepen advocacy efforts. Conduct an International Fact-Finding Mission to investigate to support a specific situation of forced displacement. . Develop an online informational portal on DID to facilitate access to information and support cutting-edge applied research aimed at reinforcing efforts by social movements and advocates to challenge forced displacement and guarantee the human rights of those affected. The successful implementation of this project relies on the active engagement, support and participation of many organizations and individuals. ESCR-Net members and other partners are invited to participate in any of a number of ways. To learn more about this ESCR-Net collaborative project or to get involved, please contact Thea Gelbspan (tgelbspan [at] escr-net.org).